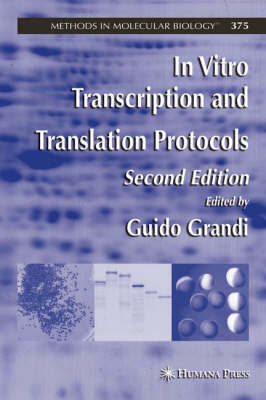 A highly anticipated update of the previous edition, In Vitro Transcription and Translation Protocols, Second Edition, provides molecular biology laboratories with the most powerful techniques for exploiting in vitro transcription and translation systems. Completely updated with new chapters and topics, there is in-depth analysis of current technologies and applications of in-vitro transcriptions and translations systems. Detailed protocols for protein production using different in vitro transcription and translation systems are included.